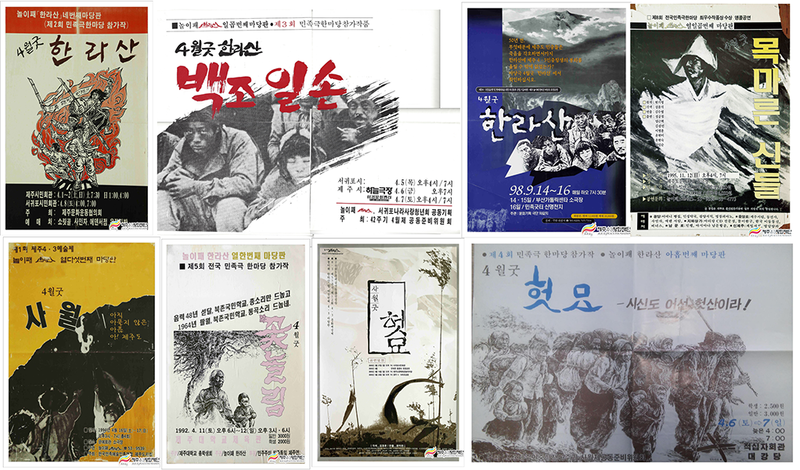 Promotional posters for some of the 4·3-themed performances of the traditional theatrical group, Noripae Hallasan. Founded in 1987, traditional drama group Noripae Hallasan has striven to translate the voices of everyday life into such art performances as nori (a traditional musical performance), geuk (a traditional theatrical play) and gut (a traditional shamanic ritual). 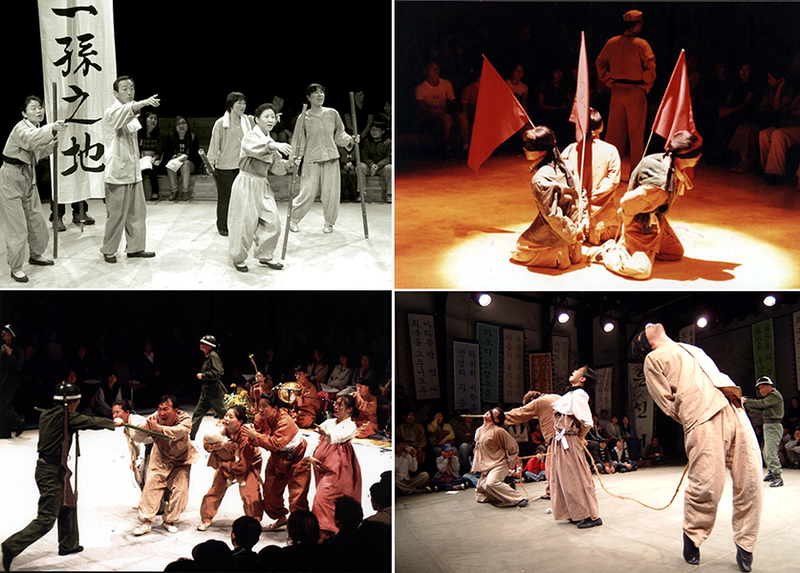 In 1989, the art group performed “Hallasan,” the first madanggeuk (a traditional outdoor musical performance) with the theme of Jeju 4·3, highlighting the truth of the Jeju Uprising and Massacre. After the performance, some of its members experienced severe hardships including police investigation. Noripae Hallasan’s representative works include “Baekjo Ilson,” “Heonmyo” and “KKon Nollim.” The artists perform regularly in an effort to speak the truth of Jeju 4·3 both domestically and internationally. Performing on Jeju and in many different regions including Seoul, Busan and Japan, the group has contributed to disseminating the truth of Jeju 4.3. As an accolade, Noripae Hallasan became the 2017 winner of the 4·3 Special Contribution Award in the culture and art section granted by the Jeju 4·3 Peace Foundation.